Register today for the one of the finest Half Marathons in the Southwest. The Albuquerque Half Marathon is an event you won't want to miss! Enjoy this fast and flat course through the scenic North Valley, Albuquerque Open Space and the Village of Los Ranchos de Albuquerque. Custom finisher medals for all half marathon participants. Don't forget! We offer a 10K, 5K and Kids K! Register now and be a part of the hundreds that toe the line at the start. PLEASE NOTE: THERE IS RACE-DAY REGISTRATION; HOWEVER, ALL PRE- REGISTERED PARTICIPANTS MUST PICKUP THEIR EVENT PACKETS AT "PACKET PICK-UP." If you are not able to pick up your packets in person at the above location and times, you must plan for a representative to pick up your packet. Any out of town participants may pick up their packet on race morning at the registration area if you are unable to do so at Packet Pickup. Race Day Packet Pickup for out of town residents: Half Marathon: Parking Lot just west of Half Marathon Start (Winter Haven Rd.) and 10K, 5K and Kids K: Alvarado Elementary Gym. Note: The HALF MARATHON START is located on Winter Haven Rd. NW (north end). See map/route link below. FINISH IS LOCATED AT ALVARADO ELEMENTARY SCHOOL (1100 Solar Rd. NW). Note: Printable course map on website: www.irunfit.org COURSE MAP LOCATED ON OUR RUNFIT WEBSITE ALONG WITH PARKING INFORMATION: www.irunfit.org. Restrooms: There are port-a-potties located near the start. Please arrive early to get in line… We will start on time. Note: When on the course you MUST make sure you stay within the orange traffic cones for your safety and the safety of others. There are volunteers and sheriff officers along the course as well as course signage: mile markers and directional arrows. It is important that you pay attention to the signs, volunteers and sheriff officers while on the course. The Wingman Race Pacers will be running with you at the Albuquerque Half. The Wingman pacers are Active Duty and Veteran service men and women who provide a volunteer pacing service for full and half marathons. They will be at the race to 1) Help organize race participants at the starting line in groups based off of race completion goals, 2) pacers will be wearing a shirt that identifies them as pacers and will be carrying a pacing sign with their group’s planned completion time, and 3) pacers will be there to help motivate runners and coach them to help runners of all levels achieve their goals. Look for the Wingman Race Pacers at the starting line! Note: The START is in the Los Poblanos Fields just south of Alvarado Elementary School/Finish on the west side of the ditch. 5K: Please do not enter the start area until all 10K participants have left. Please remain on the other side of the pedestrian bridge until all 10K participants have passed. Please report to the start by 8:30 a.m. See map/route link below. FINISH IS LOCATED AT ALVARADO ELEMENTARY SCHOOL (1100 Solar Rd. NW). COURSE MAP LOCATED ON OUR RUNFIT WEBSITE: www.irunfit.org. Note: When on the course please make sure you stay within the orange traffic cones for your safety and the safety of others. There are volunteers and sheriff officers along the course as well as course signage: mile markers and directional arrows. It is important that you pay attention to the signs, volunteers and sheriff officers while on the course. 5K Run or Walk Start: 9:00 a.m. Note: The 5K START is in the Los Poblanos Fields just south of Alvarado Elementary School/Finish. Please report to the start by 8:45 a.m. See map/route link below. Note: Please do not enter the start area until all 10K runners have left. Please remain on the other side of the pedestrian bridge until all 10K participants have passed. FINISH IS LOCATED AT ALVARADO ELEMENTARY SCHOOL (1100 Solar Rd. NW). COURSE MAP LOCATED ON OUR RUNFIT WEBSITE: www.irunfit.org. Kids K Run: 10:00 a.m. The Start of the Kids K will be taking place at the Alvarado Elementary School (just east of finish) and will finish under the RunFit arch located on the north side of the school where the Half, 10K and 5K finish. The Race Director will announce when it is time to report to the start. START IS LOCATED ON THE WEST SIDE OF ALVARADO ELEMENTARY SCHOOL. This is a non-timed event. All participants will receive a finisher’s medal. IMPORTANT REMINDER: ALL PARTICIPANTS MUST FOLLOW AND ABIDE BY ALL EVENT SIGNAGE AND COURSE DIRECTIONS INCLUDING TRAFFIC CONES. DO NOT CROSS OVER STREETS OR ROADS THAT DO NOT HAVE TRAFFIC CONES. IF A PARTICIPANT FAILS TO FOLLOW COURSE CONES AND SIGNS, HE OR SHE MAY BE DISQUALIFIED. THERE ARE SEVERAL BERNALILLO COUNTY SHERIFF OFFICERS LOCATED THROUGHOUT THE COURSE AS WELL AS VOLUNTEERS. PLEASE THANK THEM FOR THEIR HELP AND SUPPORT. The start of the Albuquerque Half Marathon (ONLY) is located on Winter Haven Rd NW – JUST SOUTH OF SAGEBRUSH COMMUNITY CHURCH. THERE IS NO PARKING ON WINTER HAVEN ROAD. PLEASE PARK AT SAGEBRUSH COMMUNITY CHURCH ONLY (6440 Coors Blvd. NW, ABQ., NM 87120).SHUTTLE BUSSES WILL RETURN PARTICIPANTS TO SAGEBRUSH COMMUNITY CHURCH. PLEASE DO NOT USE THE SHOPPING CENTER OR DEFINED FITNESS PARKING. All out of town participants who are picking up their packets on race day may pick up their Race Packet on race day in the parking lot just west of the Half Marathon start between 7:00 and 7:30 a.m. Note: Out of town half marathon participants ONLY may be able to pick-up packets at this location. All others must pick-up packets at Fleet Feet Sports (see “Packet Pickup” information above. The timing chip is located on the back of bib. Bib must be worn on the front of person and must always be visible. No timing chips will be given to Kids K participants since this is a non-timed event. 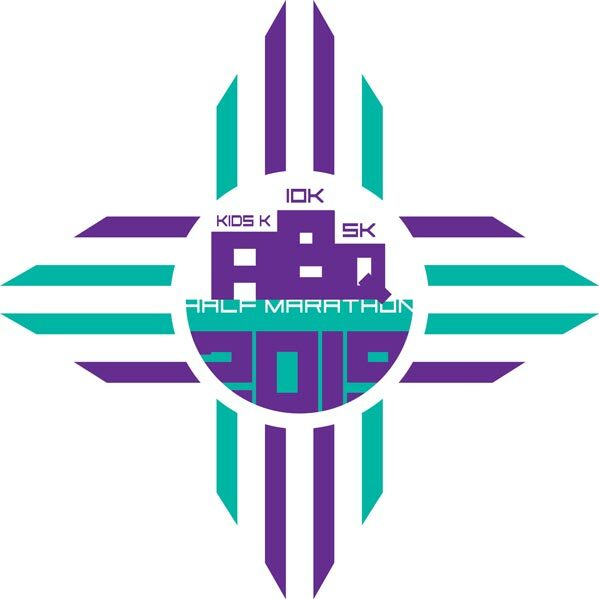 NOTE: SHUTTLE SERVICE BACK TO THE START (SAGEBRUSH COMMUNITY CHURCH) WILL BE PROVIDED TO ALL HALF MARATHON PARTICIPANTS. ALL SHUTTLE BUSSES WILL LEAVE FROM ALVARADO ELEMENTARY SCHOOL – EAST PARKING LOT – EAST OF FINISH (11OO SOLAR RD. NW). SHUTTLE SERVICE BACK TO SAGEBRUSH COMMUNITY CHURCH WILL START AT 9:45 A.M. AND CONTINUE TO 12:30 P.M. SHUTTLE BUSSES WILL DEPART/ARRIVE EVERY 15 MINUTES. PARKING: NOTE: THERE IS NO RACE DAY PARKING AT ALVARADO ELEMENTARY DUE TO FINISH-LINE AND POST EVENT ACTIVITIES. PLEASE DO NOT PARK ON OR NEAR THE COURSE: i.e. Solar Rd., Nabor Rd., Fairway Rd., Kensington, Floretta Rd. and Harmony Rd. DO NOT PARK NEAR OR AROUND DITCHES OR OBSTRUCT DRIVEWAYS. YOU WILL BE TOWED. WE ENCOURAGE ALL PARTICIPANTS TO CARPOOL TO THE RACE. ALL RACES WILL START ON TIME SO PLEASE ARRIVE EARLY. CARPOOL: We encourage you to CARPOOL and arrive early. See start, parking and shuttle information above. Note: Out of town participants ONLY may pick up their packets and timing chip at Alvarado Elementary School (GYM) between 7:00-8:15 a.m. on race day. Please park at the locations stated above. There is no parking at the Alvarado Elementary School. Please use 10K parking location (see above) see additional kid’s event information below. Note: Out of town participants ONLY may pick up their packets and timing chip at Alvarado Elementary School (GYM) between 8:30-9:30 a.m. on race day. There is no parking at the Alvarado Elementary School. All races will start promptly at the designated times. Allow plenty of time to get to the Start Line in order to check any gear and seed yourself according to your projected pace time. If you are driving to the race plan to arrive early. See parking information above. This race is a Gun Start with a Timing Chip finish. The "official time" will start when the gun goes off. All participants who want to be timed as well as being factored into the results MUST wear a timing bib/chip (see “RESULTS” information below). Please note: Should severe weather that creates dangerous conditions for participants cause cancellation of the race there will be no refunds. Half Marathon participants may check gear near the Start Line (Registration Site). Volunteers will assist runners in identifying their gear bag. Runners can claim their gear after the race near the school Gym. Show your bib number to the volunteers at the gear pickup location to claim your bag. Allow plenty of time to get to the Start Line in order to check any gear and position yourself according to your projected pace time. Can I run with an iPod/headphone? Yes. USATF, the national governing body of the sport, amended its ban on headphones, iPods and similar devices. However, athletes competing for prize money are not allowed to use electronic devices such as headphones and earpieces. If you choose to wear headphones, we strongly encourage you to use one earpiece/headphone in ear for your safety and others. By wearing only one earpiece/headphone, it will allow you to hear race officials, other participants, course volunteers and traffic officials during the event. The use of video devices, cell phones (Note: cell phones that are used for music must follow the same guidelines as “ipod/headphones” information above. If for some reason you use your cellphone for any other reason, we ask that you pull-off to the side to allow others to pass), computers, cameras or any similar devices by participants in the event is prohibited. The use of wheeled devices by participants or any other person authorized to be on the course shall be strictly limited to: (a) authorized and registered competitive wheelchair participants; and (b) authorized course marshals on bicycles. Baby joggers, baby strollers, skateboards, rollerblades, unauthorized bicycles or any other wheeled device will not be permitted. No. Sale and/or transfer of race entry/bib is strictly prohibited and will result in the disqualification and/or banning of any individuals involved from future events. All entry fees are non-refundable and cannot be deferred toward a future event. No, participants cannot defer their entries to the next year if they are unable to run. For everyone’s safety baby carriers, baby backpacks, inline skates, motorized scooters, bicycles, skateboards, and animals of any kind are prohibited from the course. Strollers and baby joggers are permitted on the 5K course only. Strollers and baby joggers must start at the back of the pack and your child must always be secured in the stroller. Inclement Weather Policy Weather forecasts will be monitored prior to the event paying special attention to the possibility of heavy rain, thunder and lightning, high winds and extreme temperatures. If necessary, athletes will be made aware of these predictions on the RunFit website: www.irunfit.org so that participants can properly prepare for severe weather during the race as well as possible course alterations. Severe weather updates will also be sent to participants via email as necessary. The Race Director will monitor the weather and make a decision if any action will be taken to modify the race. Possible changes include: altering the start time for the race or in extreme situations, cancellation of the event. Please listen closely to all public address announcements at the starting line of the race. Visible lightning will cause the race to be postponed for a minimum of 15 minutes. Additional sightings will continue to delay the race in 15-minute increments. If extreme heat is predicted, extra water will be provided to the athletes, prior to, during and after the event. The medical team will be alerted that athletes may require additional medical attention during and after the event due to the high temperatures. Medical staff members will be ready to assist you at any time. Radio communications personnel will be positioned at every aid station along the course. The event officials have the right to withdraw any runner from the race that appears in distress or at risk. If you have a health or medical problem at the Finish Line, you will be directed to the Medical Area. Please cooperate if you are asked to go for a checkup. Only runners requiring medical assistance will be permitted in the Medical Area. If you feel that you need help at any point, please ask for it! Note: If you are unable to finish the race for any reason, please notify a race official of your bib number so medical personnel are aware. When you cross the finish line you will be greeted by volunteers and an Albuquerque Half Marathon Finisher Medal (Albuquerque 1/2 Marathon Participants Only). Over-all and division award winners will be handed out immediately after the completion of each event. Please check he result board near the finish to see if you are an Age Group and/Overall award winner. You MUST be present to receive your award. Please note: NO AWARDS WILL BE MAILED. If you are unable to pick-up your medal at the event, you may do so at Fleet Feet Sports beginning on Tuesday, April 16. Overall awards to the top 3 men and women will be determined by gun time. AWARDS: Awards will be issued to the top three finishers: 19 and Under, 20-24, 25-29, 30-34, 35-39, 40-44, 45-49, 50-54, 55-59, 60-64, 65-69, 70-74, 75-79, 80+. AWARDS: Awards will be issued to the top three finishers: 6-8, 9-10, 11-12, 13-15, 16-19, 20-24, 25-29, 30-34, 35-39, 40-44, 45-49, 50-54, 55-59, 60-64, 65-69, 70-74, 75-79, 80+. All registered participants (12 and Under) are eligible to participate in the RunFit Kids K. The start of RunFit Kids K will begin at 10:00 a.m. All participants will receive a medal at the finish. NOTE: THE KIDS K WILL START AND FINISH AT THE ALVARADO ELEMENTARY SCHOOL. See information above for more details. Timing of the event will be done using RunFit’s RACE|RESULTS Timing System. Efforts will be made to post unofficial results at the finish line within 15 minutes of each participant finishing the race. Results will be posted near the finish (Alvarado Elementary Gym) immediately during and after the event as well as online at WWW.IRUNFIT.ORG. Participants who would like their official time posted and be included in the results MUST wear a timing bib/chip. No timing chips will be given to Kids K participant since this is a non-timed event. Please note: Awards will be presented immediately after each event. All awards must be picked up on the day of the event. No awards will be mailed. There are 6 fluid and replacement fluid stations supplied by Gatorade (Miles 4.3, 6, 8, 10, 10.5 and 12) throughout the Half Marathon Course – approx. every 2 Miles beginning at mile 2.5 (Water Only). Restroom facilities will be located near mile 6 and 10.5 and the start/finish. Medical and first aid personnel will be stationed at the finish and at various points along the course. See links below to see where water stops are on the course. Over 75 volunteers are needed to make the Half Marathon run smoothly. Volunteers are still needed to help! Please contact Stephen Pino-RD at (505) 217-4774 to volunteer for race day. The Los Ranchos de Albuquerque Half Marathon is fortunate to have some of the friendliest and hardest-working volunteers around. More than 75 volunteers help us on race morning to ensure you feel welcomed, are fully informed; have a safe, successful and positive running experience, and more! When you have a chance, give a hearty, fun-loving thanks! RUNFIT is proud to announce the return of the 13.1 X 2 RUNFIT MARATHON. This popular RunFit edition gives participants the opportunity to participate in two events: Albuquerque Half Marathon (April 13, 2019) and/or the Santa Fe half Marathon (May 25, 2019) and/or the NM Chips and Salsa Half Marathon (September 8, 2019) and by doing so, receive a custom 13.1 X 2 RunFit Marathon finisher medal at the finish of the Santa Fe Half Marathon or NM Chips and Salsa Half Marathon. RunFit introduces the RunFit 13.1 X 3. Run the Albuquerque Half Marathon (April 13, 2019), Santa Fe Half Marathon (May 25, 2019) and the New Mexico Chips and Salsa Half Marathon (September 8, 2019) and receive a custom 13.1 X 3 RunFit Marathon finish medal at the finish of the NM Chips and Salsa Half Marathon. The 13.1 X 2 RUNFIT MARATHON CHALLENGE and the 13.1 X 3 RUNFIT MARATHON CHALLENGE was created in response to those looking for a challenge and a lifetime accomplishment.